By Billy Boulia Voice Network Badge Voice Network contributor, an ongoing writer for our guest opinion column. On the heels of buying Whole Foods, Amazon is venturing into yet another new space: social media. 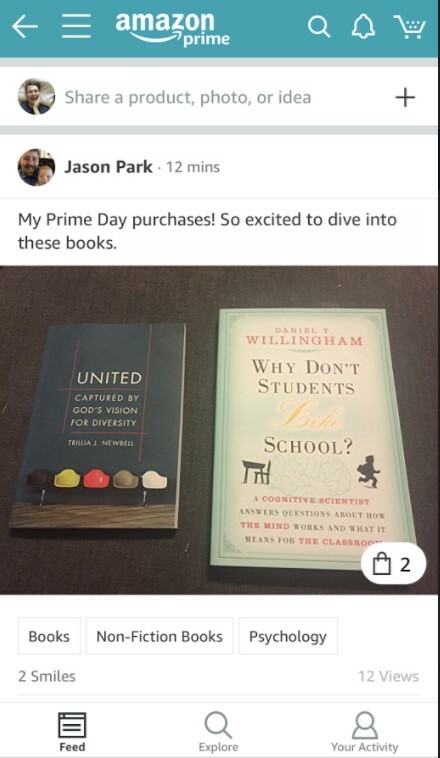 In July, the $430 billion company rolled out Amazon Spark, a social feed of user-posted images. Many have been quick to point out the similarities of Spark with other image-heavy social networks (e.g., Instagram), but there are several key differences that make Spark something that agencies, brands and other social platforms should pay close attention to. While most social networks depend on mass adoption and targeted ads, Amazon Spark is exclusive to Amazon Prime customers (who pay a $99 annual fee for a host of benefits). While any customer can review the content, only Prime members can post and comment. The move ensures that Spark content is product-focused and engaged with by active shoppers, as the 80 million Prime members spend on average $600 more per year than non-Prime members. 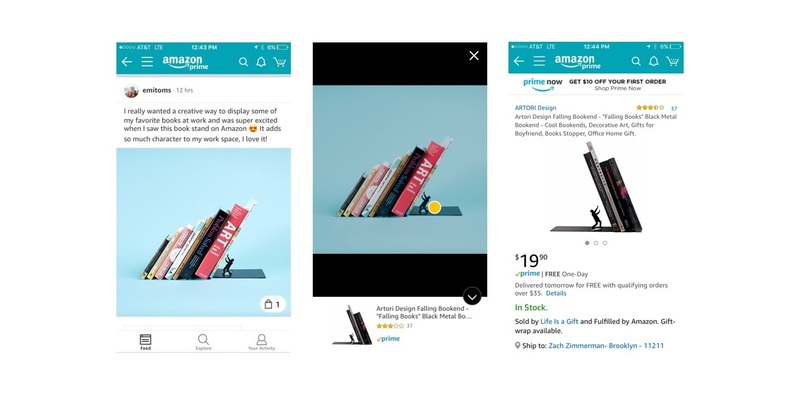 In addition to posting photos (tagged with products and interests), products and links, users can run comparison polls between two Amazon products so their network can provide feedback on their prospective purchase. Also, instead of a like or a double-tapped love, Amazon introduced the newest one-tap social media engagement: the smile. The shoppable feed is perhaps Spark’s most exciting feature. While Instagram has struggled with making its social experience shoppable, Spark makes its shopping experience social. Each image that is posted can be tagged with specific products, which appear at the bottom of the post when the user clicks. Clicking on a tag will immediately take a consumer to the product page to add that item to a cart, or even to buy it with one click. This user-friendly flow will make impulse buys a breeze. ‘Further, depending on the quality of the content and user interactions, Spark could become a place for product research and discussion. While it’s not immediately clear if brands are invited to build profiles (you’d need a Prime membership, but a personal Prime account could be used as a scrappy brand page right now), it is clear that current and future customers could discover products through user-submitted images. Already, posts with #sponsored have begun to pop up, suggesting that some brands are already tapping their influencers to create branded content with them. What is your Spark content strategy? While you won’t be able to post as your brand, you can consider what type of content you’d want influencers to share. Since the platform is so close to the Amazon point of purchase, consider lower-funnel product-focused posts, while perhaps testing aspirational, lifestyle content. Who should your influencers be? Consider engaging individuals who currently review your products on Amazon, as they’ll likely be a strong foundation. Also, only time will tell who will be the “enthusiasts” with the greatest reach, so monitor your category on the platform to stay up to date on who’s earning the most eyeballs.